Update 12/08/13: It’s winter and there are several events that may impact on your ability to get to a center. For us, in Texas, it’s ice. We had an ice storm this week and fortunately I was able to get to dialysis but I was prepared for the possibility that I couldn’t. Update 4/14/13: On the eve of Tax Day, I am posting this not because of that but because tornadoes and severe storms have already begun to hit the US, especially in the Midwest. But it’s only a matter of time when you may be faced with a disaster of one sort of another and you should be prepared. I origionally posted this for the Hurricane season but now it’s tornado season. Another time to be prepared. For Dialysis Centers Disaster Planning there in a very good webinar at the ESRDNetwork 14 website. (You need Windows Media Player to view this 30+ minute presentation.) There are many requirements for centers to be prepared. It’s a very complicated process. I won’t get into that in this posting because it’s way too involved and I’m trying to inform patients at this moment. If you are a center and need information, the ESRD Network of Texas has much more information at www.ESRDNetwork.org. For patients, it’s not as complicated but it still requires some careful consideration. Here in Texas we have several potential large-scale disasters including hurricanes, wildfires, tornadoes, and severe weather. To help Texas patients with disaster planning, the ESRD Network of Texas (www.ESRDNetwork.org) and the Texas ESRD Emergency Coalition (www.TexasTEEC.org) worked to produce a video to help. It mostly applies to Texas patients and references phone numbers and sites for patients in Texas but it is very useful nonetheless. Click here to view the video. For the Texas-specific information, make note to get this information for your particular area. Also the Texas Storm Chasers have a good site to keep you informed of weather the affects Texas. If you live in Texas, bookmark this page! The video uses the acronym R.E.A.D.Y to summarize it’s points. R is for Rx (Prescriptions). Keep a list of all medicines you take. Always have a week’s supply on hand. E is for E.R. Go to the emergency room if you have serious problems. Here’s a list to remind you. A is for access to people & places. Make a list of phone numbers most important to you. D is for diet & liquids. Keep safe supplies on hand. When you can’t go to dialysis, you can’t drink much at all! Y is for YOU! Make a plan with family, friends & neighbors to stay safe. Prepare an emergency bag. It doesn’t have to be anything special; even a strong paper or plastic bag, or sturdy box would be useful. You can also use a piece of luggage, an athletic bag, backpack, or school book bag but it should be something that can carry your canned goods and meds securely. Keep the bag in a handy location where you can reach it easily in an emergency. Bear in mind you may be rushing about in the case of an emergency. I keep mine beside my bed and out of the way. Keeping a list of your medications is important. You can simply write a list and keep it on the fridge. You can get a list from your pharmacy or simply gather all your med and write down the name of each, the dosage, and the doctor who prescribed it. You can use the same list when you visit your physicians. Almost every time during a doctor visit, I get asked what medications I’m taking. It’s important to keep the list up to date. I keep mine on the computer on the “desktop” so I can quickly update it and find it when I need it. In an emergency, it’s VERY important to have that list. Keep an up-to-date copy in your Emergency Bag. Also, keep the phone number and address of the pharmacy or pharmacies you use, the dialysis center name, address, and phone number and the local hospital name, address, and phone number on this list. You may need that information. The R.E.A.D.Y brochure has blanks for all that information to be recorded. It’s part of the R for Rx and the A for Access. Bear in mind, your usual center for dialysis may be in the same disaster. Ask your center about their disaster plans and where their backup center is located. Put that center’s name, address and contact information into your bag. If you can’t contact that center during the emergency, go to a hospital. If you’re not sure where to go and you have an injury or other medical problem. Go to the Emergency Room at a hospital. Problems would include blurry vision, shortness of breath, pain that is unusual for you, chest pain, and unusual swelling. Going to a local acute care center might be desired but a hospital has dialysis machines where an acute care center would not. I’ve gone to a care center for the flu because my insurance required less co-pay and was referred to the hospital when they discovered I was on dialysis. They are just not prepared for that and don’t want to deal with it. Plus, I ended up paying the co-pay for the care center and an additional co-pay for the emergency room. It was an expensive lesson. Many families have an agreed upon location or locations where they will go in an emergency. It could be another family member’s home, a school or emergency shelter. If you have an agreed upon meeting place, you don’t have to go looking for or worrying about others unless they don’t show up. Keep in mind that cell phone towers may be knocked down or overloaded. Having an agreed upon meeting location may eliminate some additional worries. If you have a resource out of the area like another relative or friend, make sure all the family members have that information. It can be a person to call who may be unaffected by the disaster and who can coordinate family communications. And, make sure your caregivers know your emergency plan and where your emergency supplies are located. You may not be able to get to them yourself. DON’T drink any more fluids than absolutely necessary. You may not be able to dialyze for a couple days or more. Avoid eating too much. Only eat what you need to survive. Figure out a subsistence menu based on the foods in your bag and eat that or less per day. Avoid high salt, potassium and phosphorus foods! If you ever needed to be careful about these, this is the time! Review your emergency food list with a dietitian or nutritionist. You should anticipate a three day supply of kidney-friendly foods, at least, and should review this diet plan with your dietitian. The plan speaks about having a lavender-colored wrist band provided by your center. In four years of dialysis at two centers, I’ve never heard or seen this! I will inquire at my center. In the meantime, I found this location at KCER where you can fill-in your medical information and print a lavender card (www.kcercoalition.com/lavender.htm) if you have access to a printer. Place this card in the water-proof documents bag in your emergency bag. When I find out about the wrist-bands, I’ll update this post. I highly recommend the KCER (Kidney Community Emergency Response Coalition) website (www.kcercoalition.com) for some great information that will help you be prepared. Spend a while looking through the website and bookmark it so you can reference it in your disaster planning. It also suggests having an up-to-date copy of your “flowsheet”— the settings on your dialysis machine. Put any important documents into a zip-lock bag to protect them from moisture. The roof over your head may not be there to protect you! The TEEC video had some good recommendations in the case of an emergency like 3 gallons of water per person, provisions for the family for at least three days, a battery or hand-crank powered radio, flashlights, first-aid kit, Back in the “duck-and-cover” days of planning for a nuclear attack, we were told to fill the bathtub with water that can be used in a disaster for flushing toilets and cleaning. It’s still a good idea in the case of severe weather. If you have enough warning of a potential disaster, fill the bathtub. You may need it. Get a Kit or Emergency Bag and fill it with supplies. 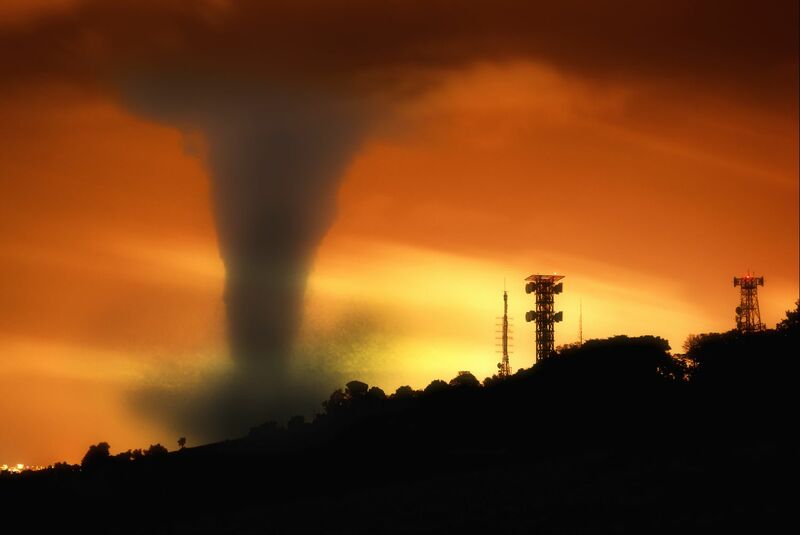 Be prepared and informed because a disaster may not come with much forewarning. Spend a few hours now to avoid suffering later. Update 10/12/12: There’s a great bit of information on the DPC blogsite about Disaster Preparedness. I’m sure I haven’t included everything but I’ve tried to hit the most important points. If you have a suggestion, please feel free to leave a comment. This entry was posted in dialysis, disaster planning, dry weight, ESRD, New Patient and tagged dialysis, disaster planning, emergency, ESRD. Bookmark the permalink. This is excellent, and I am certain valuable to many. I am just so glad I don’t have to ‘be ready’ where I live (Australia). May nature take a rest!! Thanks. I’ll be asking my clinic about this tomorrow.